Can you believe it's that time again...to celebrate a new month here is November's Free Desktop Background for you to enjoy! 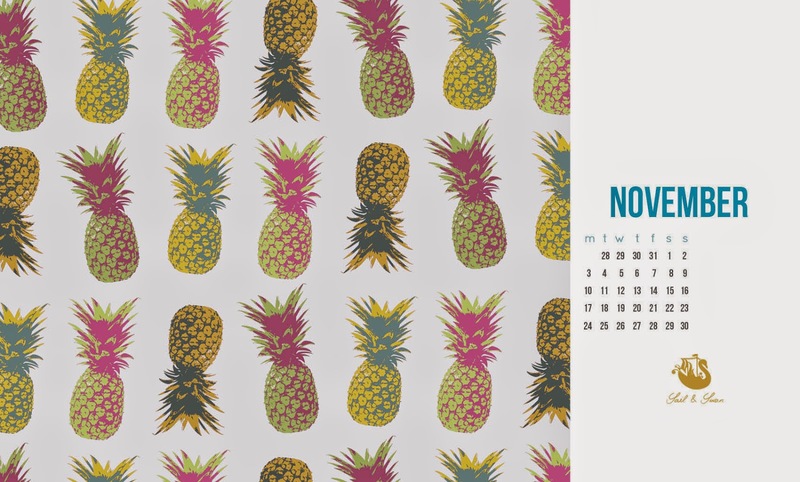 I have brought out this lovely pineapple pattern in a colourful and vibrant celebration for summer! Simply click here to download and enjoy. Bring on drinks by the pool, warm weather and sunshine, and trips to the beach! PS - is anyone enjoying this pineapple trend as much as I am? Everywhere I look there are pineapples..on cushions, art prints, fabric....loving it! There is something so appealing about the awkward and spiky shape of a pineapple, not to mention their gorgeous bright colour.